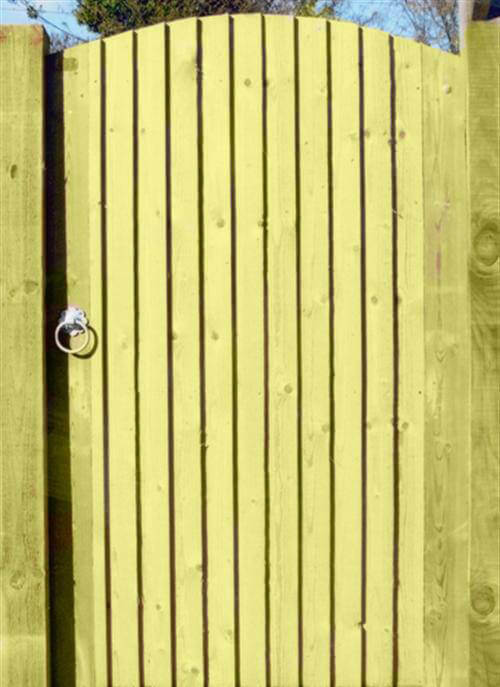 High quality Featherboard Garden gate with convex style top. Right Hand Hanging. Including posts and fittings. 25 year guarantee.